This Thanksgiving, we’re thankful for you, and all of our incredible donors, who enable us to provide help, peace, and hope for a better future in the world’s youngest nation. Each day, your big heart continues to reach these suffering people, making it possible for us to feed the hungry, heal the sick, clothe the naked, and shelter the homeless. Because of your kindness, our partners on the ground are able to continue God’s work and make this war-torn region a much brighter place. We are all very grateful for your generosity, and we thank you for opening your heart to those in need. 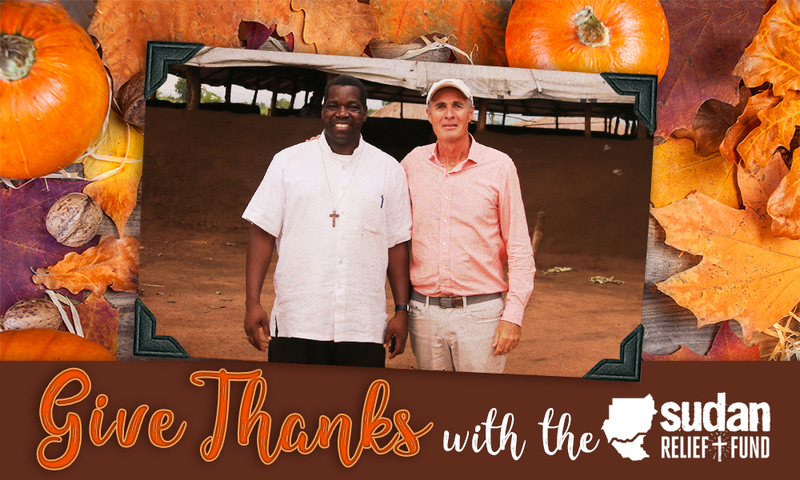 One of our key partners, Bishop Eduardo Hiiboro Kussala, President of the Conference of Catholic Bishops in Sudan and South Sudan, wanted to take this opportunity to send his deepest gratitude to all of our generous donors and for keeping his people in your prayers. We wish you and your loved ones a Happy Thanksgiving. Thank you again for your continued support.